Located on California&apos;s Central Coast just minutes from Hearst Castle, Paso Robles Wine Country, life in this small beach town is reminiscent of how California used to be: charming, relaxed, fun, quirky, yet filled with great food, cycling, surfing, sailing, fishing, golfing and kayaking. 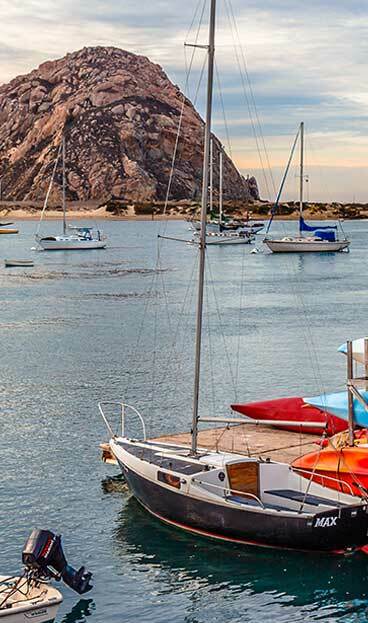 Designated as the Best Budget Destination in California for 2018 by Budget Travel, Morro Bay is a world-class destination with rooms to fit any budget. 1) Find a great variety of lodging options with some m id-week rates under $100 and weekends under $200 offering cool ocean breezes. 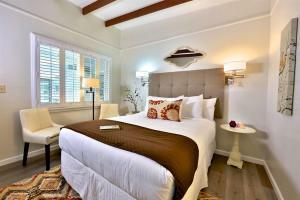 Discover waterfront boutique inns, leading brand hotels, reliable budget and specialty accommodations that fit any budget! 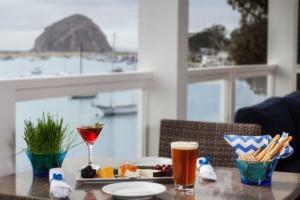 2) Get the best window seat at your favorite restaurant with amazing harbor and Morro Rock views. Surrounding farms and vineyards from Paso Robles to Edna Valley yield a bounty of outstanding organic produce and award-wining local wines served with flair at Morro Bay&apos;s renowned restaurants, wine bars and craft breweries. Not to mention a bounty of fresh oysters farmed right in the bay and local seafood caught by Morro Bay’s multi-generational fishing families. 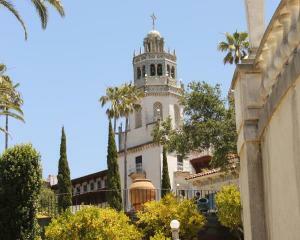 3) Forget about life for a while and tour world renowned Hearst Castle! View the magnificent ground floor rooms of La Casa Grande where Mr. Hearst&apos;s famous Hollywood guests met their host and were entertained during their stay at La Cuesta Encantada. See the Assembly Room where guests met for cocktails, the Refectory where meals were served, the Morning Room, Billiard Room and Theater. Your knowledgeable guide will bring this estate to life sharing stories about Mr. Hearst and his many guests who visited for nearly three decades in the early part of the last century. Stroll the grounds at your leisure at the conclusion of your guided tour. This great museum is filled with Egyptian, Greek, and Roman antiquities – along with Old Master European paintings, sculptures, and decorative art; Chinese and Near Eastern art; and about thirty historic carved and painted ceilings from Renaissance Italy and Spain. Dozens of Art Deco items round out this astonishing collection. 4) Venture out onto the beach, harbor or o cean and be one with waves, water and wildlife. Surfing, kayaking, running, kite-surfing, there are plenty of outdoor sports and adventure waiting for you in Morro Bay. 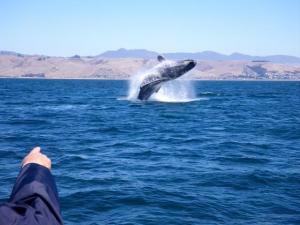 Perfect for groups, Subsea tours offers bay cruises and whale watching tours filled with fun and excitement. Virg&apos;s Landing, Reel EZ Fishing and J&T Charters offer deep sea fishing cruises that help visitors catch the BIG ONE! And, Morro Bay is home to the Morro Bay National Estuary Preserve and its unique 800-acre wetland with salt marshes and mudflats home more than 250 species of birds and dozens of endangered species, including Peregrine Falcons. Not to mention there’s an abundance of pure unadulterated cuteness going on with the increase of California Sea Otter families living in Morro Bay. If you are near the water you are near an otter! 5) Shop till you drop at funky art galleries, unique boutiques and cool artisan shops! 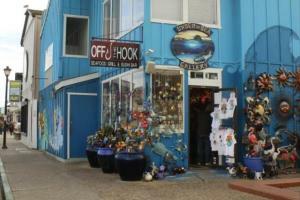 From art galle ries and antique shops to delicious fresh made taffy, Morro Bay has it all. The Shell Shop is a funky retail store that opened in 1955 and exhibits the largest selection of marine sea shells on the Central Coast. Find decorative corals, unique crafted sea shell jewelry and sea clams from around the world – it’s really fun! The Babylonian Soap Company offers hand crafted soaps, finely crafted lotions and fragrant candles that are all vegan, paragon free, sulfate free and just pure skin food. Junque Love offers an eclectic mix of vintage and repurposed goods, and represents the heart and soul of old coastal California, featuring artists from all over California that repurpose vintage items into new goods. Crill’s Salt Water Taffy shop is the place where childhood memories are made, a not-to-miss experience. 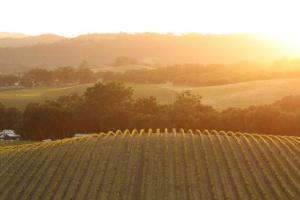 6) Taste Award-Winning CA wines of the Central Coast!! 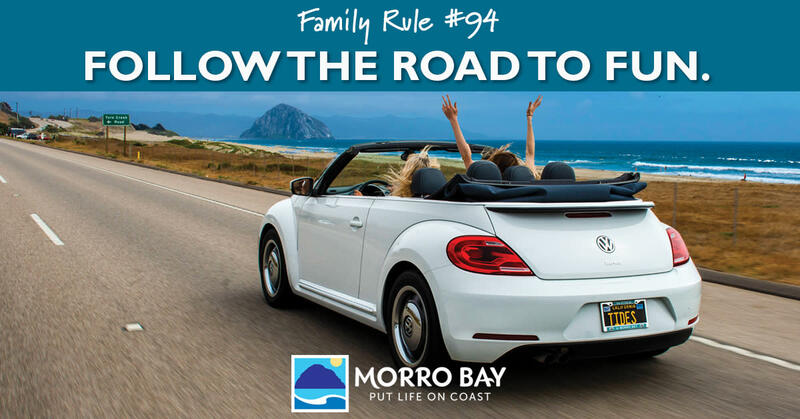 Aside from great restaurants serving a great variety of award-winning local wines and a fun sampling of wine bars and tasting rooms dotted along the Embarcadero, Morro Bay is uniquely situated between two world-class wine regions located in San Luis Obispo County. Nestled in the Santa Lucia Mountains, just 30 minutes northeast of Morro Bay is Wine Enthusiasts 2013 Wine Region of the Year: Paso Robles. There are more than 250 wineries located in this viticulture area, many of which are small boutique producers with the winemaker pouring in the tasting room. Just 30 minutes to the southeast of Morro Bay is SLO Wine Country. Cool-climate varietals such as Chardonnay and Pinot Noir excel here and its nearby ocean proximity exerts a moderating effect minimizing temperature swings so that growing conditions are rarely hot or cold. The result is an extraordinarily steady growing season that fosters balanced ripening and consistent quality from vintage to vintage.